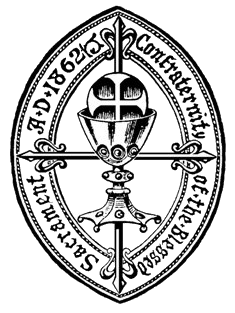 The Confraternity of the Blessed Sacrament was founded in 1862 as part of the Catholic Revival in the Church of England to honor the Presence of Our Lord in the Blessed Sacrament and to promote appropriate preparation and devotion to the Holy Eucharist. The Intercession Paper is the bi-annual publication of the Confraternity, containing Confraternity devotions and daily intercessions. For general inquiries about the Confraternity, please complete the form.